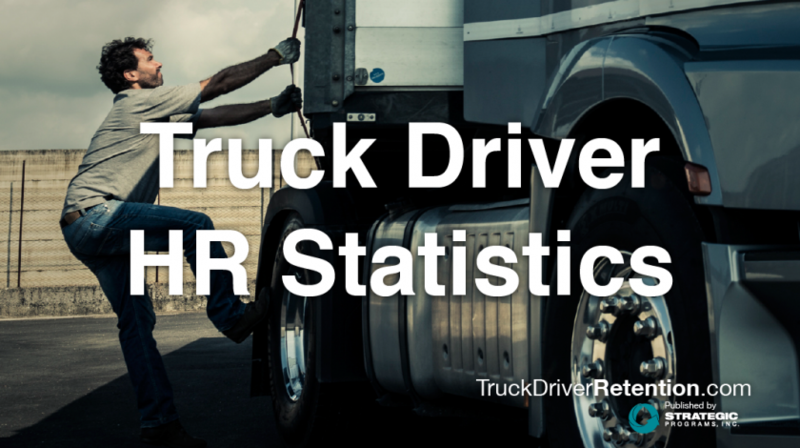 Finding new drivers is one thing, but keeping them is entirely a different story. In fact, recent data shows that half of all hourly workers leave new jobs within the first four months, and 50 percent of senior outside hires fail within 18 months. According to the ATA, the turnover rate at large truckload carriers reached more than 90 percent for the 10th consecutive quarter at the end of 2014, while the rate at small truckload fleets hit 94 percent, so it’s clearly a problem that needs a solution. Megan Younkin, one of our Strategic Programs, Inc. consultants, explains that an important way to combat the challenge is by implementing a robust employee onboarding program. 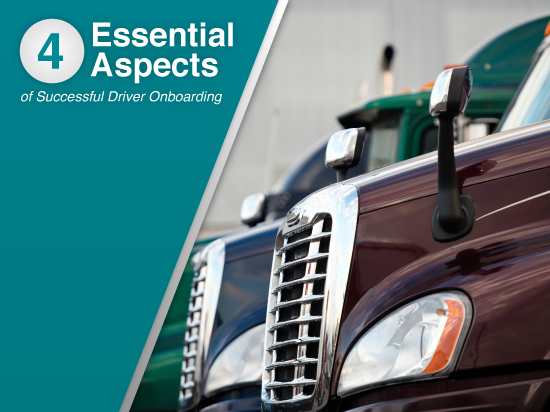 A proper onboarding program can shorten a driver’s learning curve, increase productivity and reduce errors. It can also better facilitate compliance with company policies, legal procedures, and rules; improve job satisfaction and retention; and promote communication between managers and drivers. Gone are the days when you can just hand a driver a manual and hope it makes sense. A savvy onboarding program will establish a connection between the driver and his new work environment, and make sure everyone is on the same page when it comes to the job. A trucking company who calls on Strategic Programs’ services, will benefit from our best-in-class surveys, which assess new drivers’ expectations of the organization, their work, their fleet manager, the work environment, and compensation and benefits. Plus, the results will alert the organization to any concerns or needs of the drivers in order to make sure it’s a win-win for both parties. “It’s all about making sure the expectations are set well so when someone gets on the road they are not saying, ‘this is not at all what I thought it would be,’” Younkin says. The conversation should also include any issues that may have popped up in the past with drivers. For example, if a driver will have to go to New York City on occasion, that should be discussed. Another important part of the onboarding equation is making your new hire feel like part of the group, and letting them know that the company has an ear to their problems and concerns. You want the new driver to feel like part of the team from the get-go. Once a driver starts at his or her new job, a key part of retaining them is checking in from time to time to make sure they are happy. This is especially important during the first few days and weeks, when the excitement of starting something new might begin to wear off. This is where a company can ensure no misunderstandings lead to someone walking away. Younkin says that some of the most successful fleets the company has worked with have a set policy for different people in the organization checking in with new drivers in the first several weeks, rather than just the manager doing so. For example, one week someone from payroll will check in with them, a few days later someone from the safety department, and so on. Onboarding isn’t just a way to get a new driver into the system and ready to work; it’s a savvy, friendly and welcoming way to make a new hire feel like part of the team and want to be part of your strong organization. It’s a way to ensure that there’s no confusion about the job requirements and that everything runs smooth from Day One. Keith Loria is a staff writer with Strategic Programs, Inc. and TruckDriverRetention.com, helping us cover the workforce & HR challenges that companies throughout the trucking industry are facing.